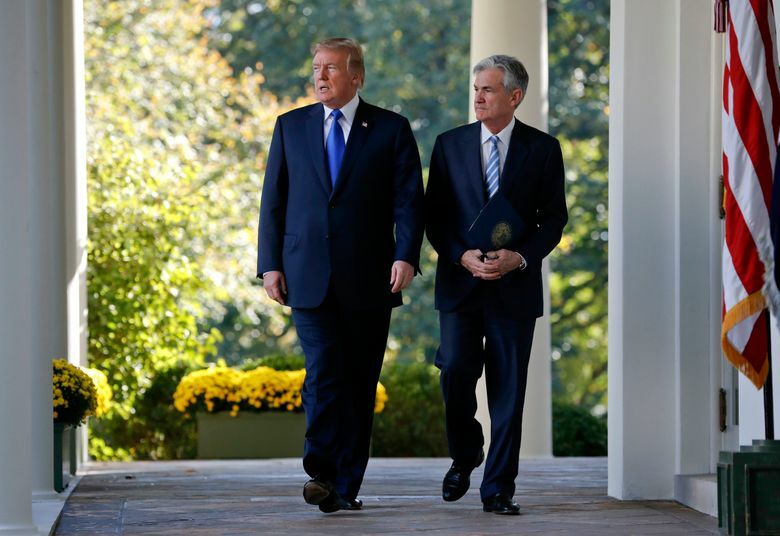 President Donald Trump tapped Jerome Powell on Thursday to replace Janet Yellen as Fed chair when her term ends in February, choosing a moderate member of the Fed's board who has backed Yellen's cautious approach to interest rate hikes. 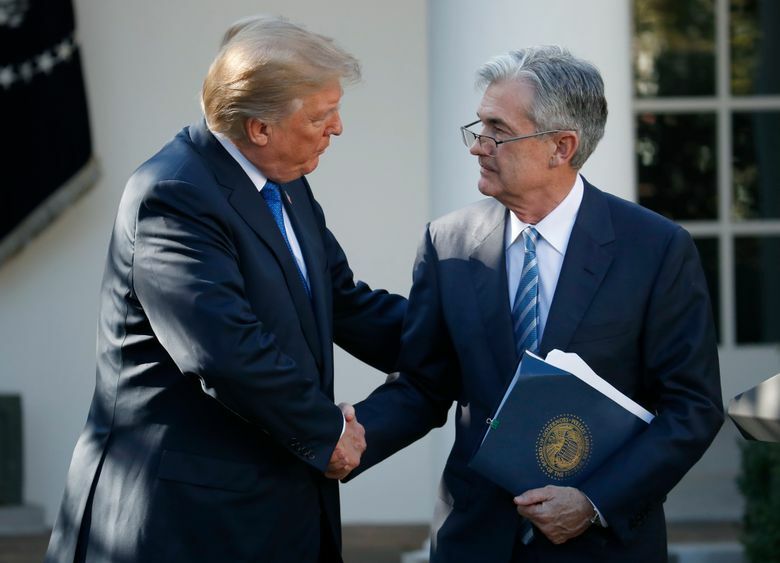 WASHINGTON (AP) — President Donald Trump tapped Jerome Powell on Thursday to replace Janet Yellen as Fed chair when her term ends in February, choosing a moderate member of the Fed’s board who has backed Yellen’s cautious approach to interest rate hikes. 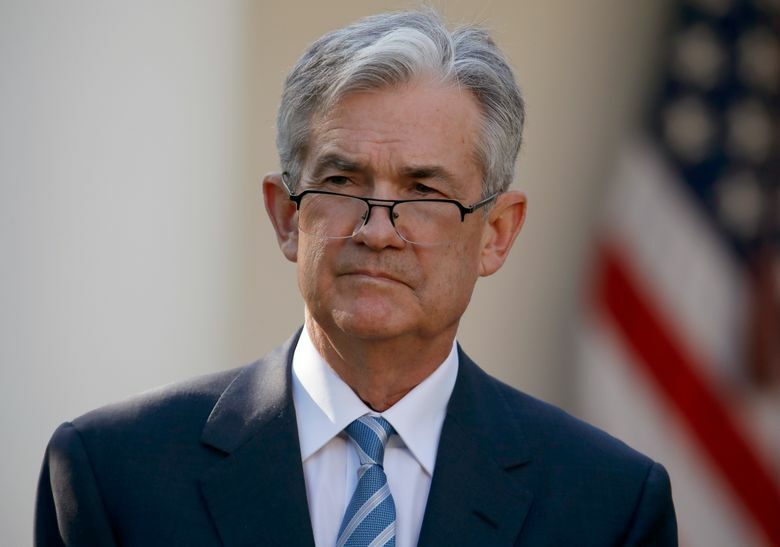 Powell, 64, is seen as a safe pick whose selection will likely assure investors hoping for continuity at the central bank. Some analysts see Powell, though, as more inclined than Yellen to ease financial regulations and possibly to favor a faster pace of rate increases. 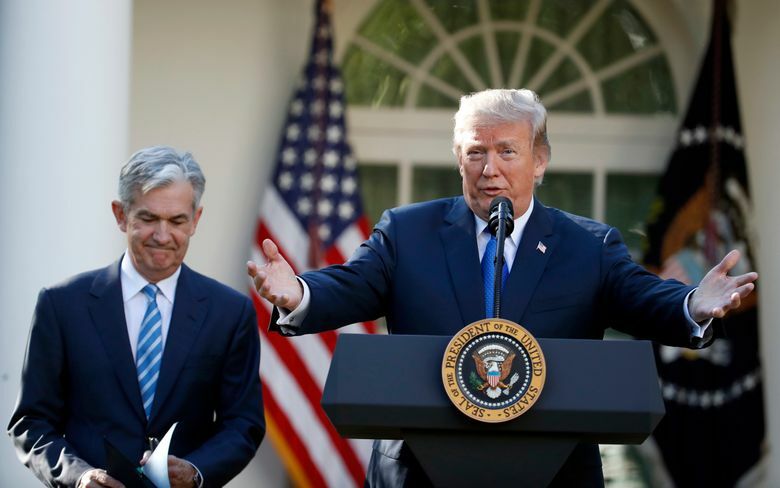 Trump made the announcement in a Rose Garden ceremony with Powell standing beside him. 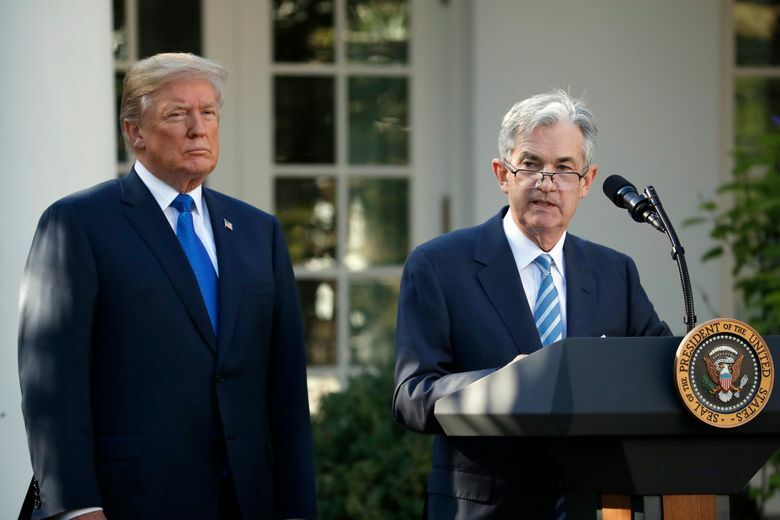 He said Powell had earned the “respect and admiration of his colleagues” in his five years on the Fed’s board. The president also praised Yellen, the first woman to lead the Fed, whom he decided not to nominate for a second term. He called her a “wonderful woman who has done a terrific job.” In a departure from previous announcements of new Fed chairs, Yellen was not in attendance Thursday. Powell himself said it had been a privilege to serve under Yellen and her predecessor, Ben Bernanke, and said he’d do all he could to meet the Fed’s dual mandates of stable prices and maximum employment. Sung Won Sohn, an economics professor at California State University-Channel Islands, suggested that the new chair would likely deviate little from Yellen’s policy leadership if the economy performs as expected. If confirmed by the Senate, Powell would become chairman when Yellen’s term ends Feb. 3. Unlike the past three Fed leaders, Powell lacks a Ph.D. in economics and spent years working at investment firms. In choosing him, Trump decided against offering another term to Yellen despite widespread approval for her performance. The Yellen Fed and its go-slow approach to rate hikes have been credited with helping nurture the continued recovery from the Great Recession. Now, she will become the first Fed leader in decades not to be offered a second term after completing a first. Democrats expressed discontent that Yellen hadn’t been given a second term. “Janet Yellen has been one of the most successful Fed chairs in history, and she deserved to be re-nominated,” said Sen. Elizabeth Warren of Massachusetts. Trump acknowledged in a recent TV interview that his decision on a Fed chair might have less to do with Yellen’s performance than with wanting to impose his own stamp on the Fed. Though Yellen’s term as Fed chair ends Feb. 3, her term on the board lasts until 2024. She hasn’t said whether she plans to remain on the board. His background makes Powell something of an outlier in a Fed long defined by distinguished research economists like Yellen, whose work has examined the relationship between inflation and wages, and Bernanke, a scholar of the Great Depression. But Aaron Klein, a fellow at the Brookings Institution who worked in the Obama administration’s Treasury Department, suggested that the absence of a scholarly background in economics should not impede Powell’s ability to lead the central bank. While Powell is expected to generally stick with Yellen’s blueprint, no one can be certain that he will. With unemployment at a 16-year low and the economy on firm footing, Powell might want to step up the pace of the Fed’s rate increases, which make loans costlier for companies and individuals over time. For any Fed, the risk in doing so would be in potentially miscalculating the proper pace of rate increases and inadvertently triggering a recession. Corporate profits would suffer, and stock prices would likely tumble. 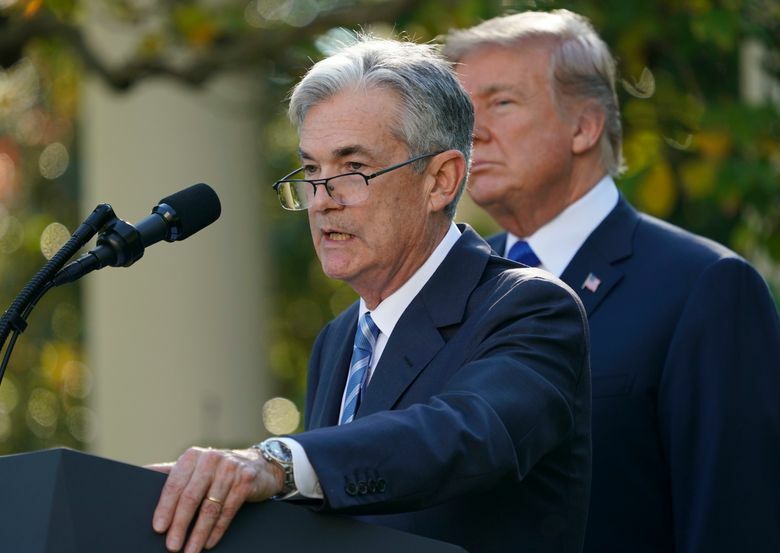 Nor can anyone know how well Powell would manage an unforeseen economic crisis that might arise over the next four years — whether a recession, a credit crunch or a global financial crisis. Powell, known as Jay, has maintained a low profile on the Fed board — refraining, for example, from giving speeches on interest rate policy. Instead, he has chosen to focus more on the regulation of banks and on overseeing such obscure but vital Fed functions as the U.S. payments system. He supported rules the Fed adopted to implement the 2010 Dodd-Frank Act — which tightened regulations for financial firms after the 2008 crisis. But Powell has expressed concern that some of the stricter restrictions might have gone too far, especially as they relate to smaller banks. A graduate of Princeton University with a law degree from Georgetown, Powell worked at the venerable Wall Street investment bank Dillon, Read & Co. before serving as a senior Treasury official under President George H.W. Bush. Later, he was a partner in the Carlyle Group, a giant in the private equity business, from 1997 through 2005. Powell’s years in investment management have made him one of the wealthiest members of the Fed’s board. According to his latest financial disclosure form, his assets were valued at a range between $19.7 million and $54.9 million.